I remember seeing these gorgeous L'Oreal Masks & Washes shortly after their launch last year and I knew I needed to try them at some point. I was not in a hurry as such but I kept being drawn to them every time I popped into Boots. 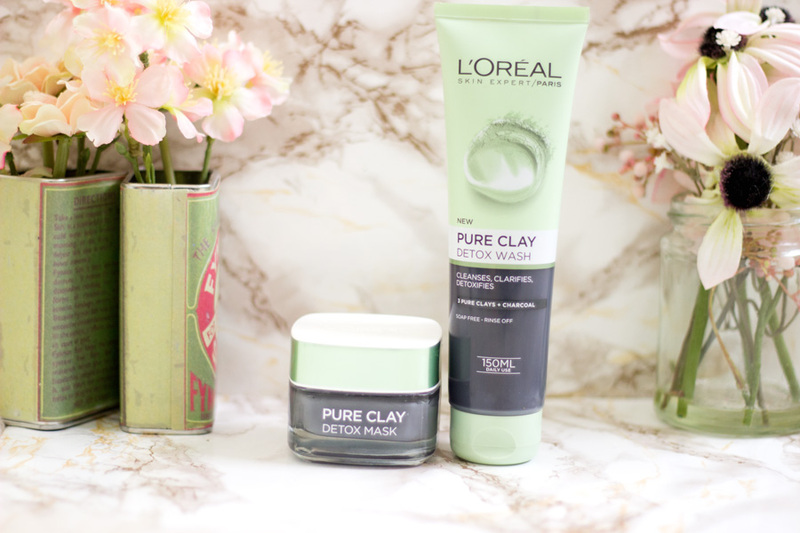 Finally, I picked up the Pure Clay Detox Wash and Pure Clay Detox Mask last month or maybe in January and I am glad I did. I have been using the Detox Wash more frequently this past month and I like it. I don't think I have come to the point where I'd say I love it but time will tell. It is designed to cleanse, clarify and detoxify which is right down my alley especially after a busy day at work. It is heavily fragranced and I don't usually mind but it reminds me of a male cologne/aftershave or something similar. I don't really think it is the appropriate fragrance for a face wash in my opinion. If you don't like fragrances, this will be an absolute deal breaker for you but somehow the fragrance has grown on me. It has a nice lather (it is soap free but still contains the usual sulfates) and it works well with all my beauty tools. My skin feels clean and I think it is a good everyday face wash. As it is clay based with some elements of charcoal, it is black in colour but when mixed with water, it turns to a light grey colour. Overall, I enjoy it and it does what it promises. The Pure Clay Mask is another product I enjoy because clay masks work the best to unclog my pores. I have been using my Una Brenaan Salicylic Anti Blemish Mask for ages and I just wanted to try something new. Thankfully, the Pure Clay Mask is not as heavily fragranced as the wash but it still has an element of the fragrance in it. I have not used the mask as much as the Detox Wash so I can't really share my final thoughts but I do like it so far. If I end up loving it, it will be featured on here again. The Oskia Renaissance Cleansing Gel has been so high on my wish list and I really wanted to try it before purchasing the full size. If you read blogs or watch YouTube beauty videos, you'd have heard about this cleansing balm. I waited patiently till Christmas when they usually sell their mini size. I don't know if it's just me but I love the mini size packaging a whole lot more than the full size packaging. Not only did I wait for Christmas to roll along so I can purchase the mini size (which came in a cracker), I waited till it went on sale from £18 to £9!! Sadly, the mini size is no longer available. The only regret I have is not purchasing at least two but then I did not know if I'd like it or not. The long and short of it all is I love it. I still think it is overpriced but it does work well. It feels so lush on my skin and completely takes off my makeup. I put one or two pumps on my palms and rub it between my palms to warm it. I massage my face with the gel for a minute or so and hot towel/cleanse it off. There is no makeup residue left and my skin feels clean. Of course, I still follow it with my usual second cleanse but it is a good way to start off my cleansing routine. It just feels amazing and I may be tempted to buy the full size as a treat because I have enjoyed using it. You all know Bourjois is one of the few drug store brands that I don't even bother wasting my money on when it comes to foundations or concealers. They have the most limited shade range I have ever come across. The sad thing is I know their products are actually amazing and I believe they have some links to Chanel. Anyway, I popped into Boots as you do and what did I see? 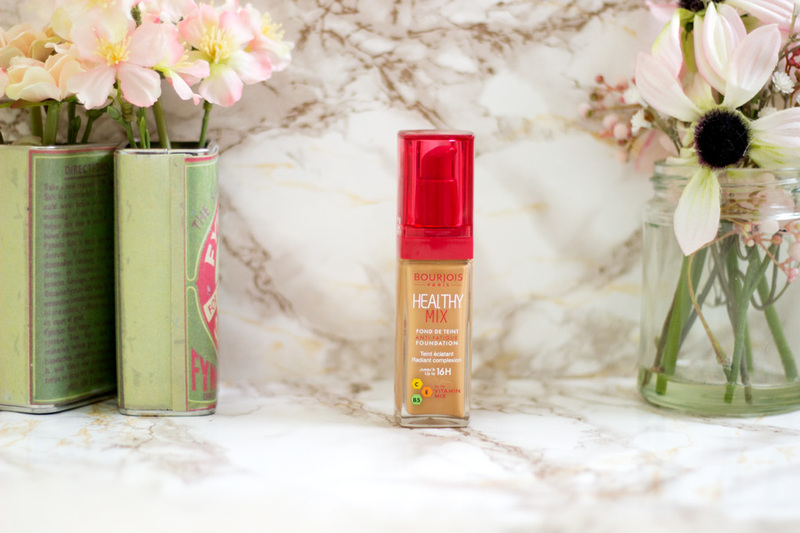 Bourjois Healthy Mix in a shade that looked like it would match my complexion. I did a double take and was in shock. When did this happen?!!! I tested it out with a quick swatch and it was an amazing match. I promptly purchased it and it came home with me. It was also on offer which made this rare impulse purchase even easier than ever. Apparently, Bourjois have revamped their Healthy Mix formula and added in three more shades. While I commend their shade range expansion, I think they can do better. My shade is 58 Caramel which is the darkest shade. In the WOC complexion spectrum, I believe I fall in right in the middle so there are a whole lot more shades after mine. For reference, I am a MAC NC 45, Bobbi Brown Golden 6, NARS Cadiz, etc. I will be reviewing the foundation in another post but I am really impressed with it so far. 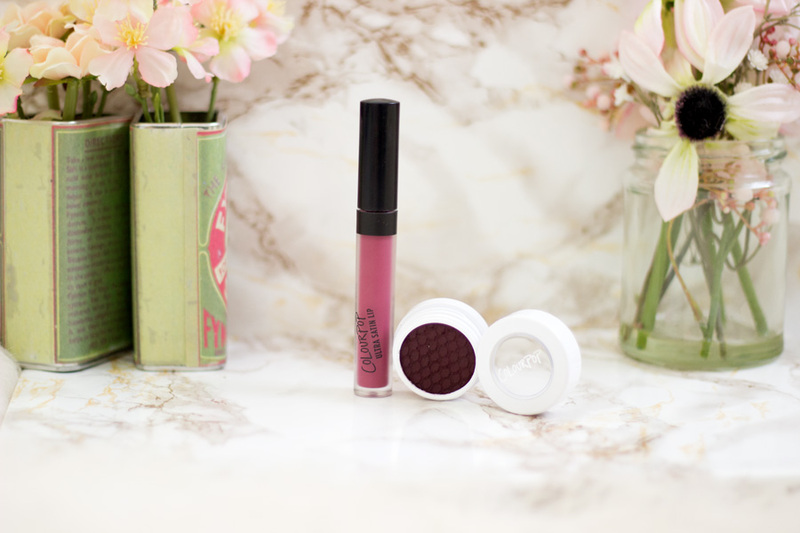 It offers a good medium coverage, decent lasting power (only tried it over the weekend) and a demi-matte finish. I do set it with a powder which helps with its overall finish. I will be wearing it today at work so I can update you on how long it really lasts on a regular work/school day. If you read my blog regularly, you'd know that I am absolutely crazy about the L.A. 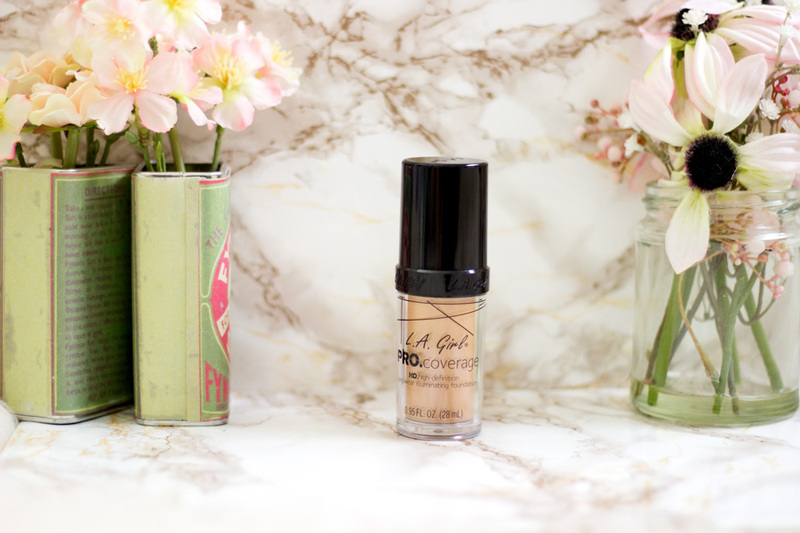 Girl HD Pro Concealer. I use it mainly for my blemishes and hyper pigmentation and the coverage and lasting power is out of this world. I always wished they'd develop a foundation similar to the concealer and behold, they did!! Last year, they launched the L.A. Girl Pro Coverage Foundation and everyone went crazy including me. My shade in the LA Pro Concealer is Fawn which is the most perfect shade for me ever. I was disappointed to see that shades in the concealer don't necessarily match the foundation which made purchasing it online very difficult. However, I eventually settled for Bronze (after watching several videos) and I have to say it is a great match to my complexion. Again, I will save my full thoughts for my review of this foundation. All I would say for now is that it offers a dewy finish which is not my preferred finish. I am all about a good matte or demi-matte finish so I have to do quite a few extra steps to make this foundation work for me. Other than that, it is such a good foundation especially for a drug store brand. It has a lovely packaging and even a pump (MAC Studio Fix and Estee Lauder Double Wear take note). I really like this foundation despite the extra steps I have to take to mattify it which is why I save it for weekends when I have more time on my hands. I purchased this last month online and it was a lovely treat from me to me. Yes, it's always good to treat yourself every now and then. I feel very lucky that I get sent a lot of products to try and I am forever grateful for them. However, I still treat myself to brands I love in general. I popped into Harvey Nichols last month for an event and decided to check out their beauty hall. 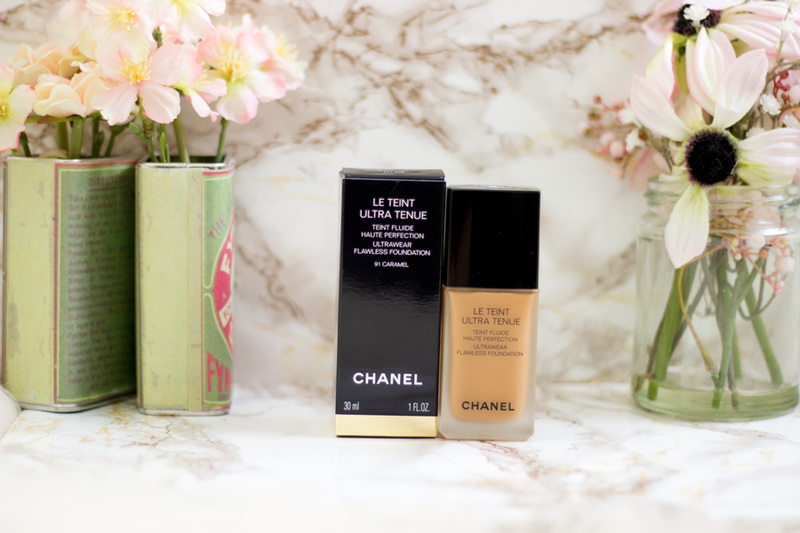 I came across the Chanel Counter and saw that they had expanded their shade range for their newly launched Le Teint Ultra Tenue Foundation. The lady at the counter was so lovely and matched me to Caramel 91 which is an amazing match to my complexion. I took the samples away with me and tried them out over a few days and I was completely sold. I made an online order because Chanel does really incredible packaging and I could not resist. Of course, I have a full review planned where I will talk you through the entire process. It will be worth the wait I promise. The foundation in itself is currently my favourite foundation and I can't fault it at all. There are also 3 other shades darker than my shade an for that, I am very impressed. The foundation is designed for the everyday busy woman who wants to look flawless in a natural way and I have to say they nailed it. It is a great medium coverage which can be easily built to full, non-cakey coverage with a demi-matte finish. It has a light fragrance to it which is the signature Chanel beauty fragrance. I have read a few reviews where people said they did not get along with this foundation but those people had dry skin and I can see why. I believe this foundation is optimised for anyone with combination/oily skin which is why I am absolutely obsessed with it. This was a Space NK Sales purchase which I could not resist because I had a £5 birthday voucher so I ended up paying only £10 for it. It was free delivery to store so it was an absolute bargain and that's one of the reasons why I love Space NK. 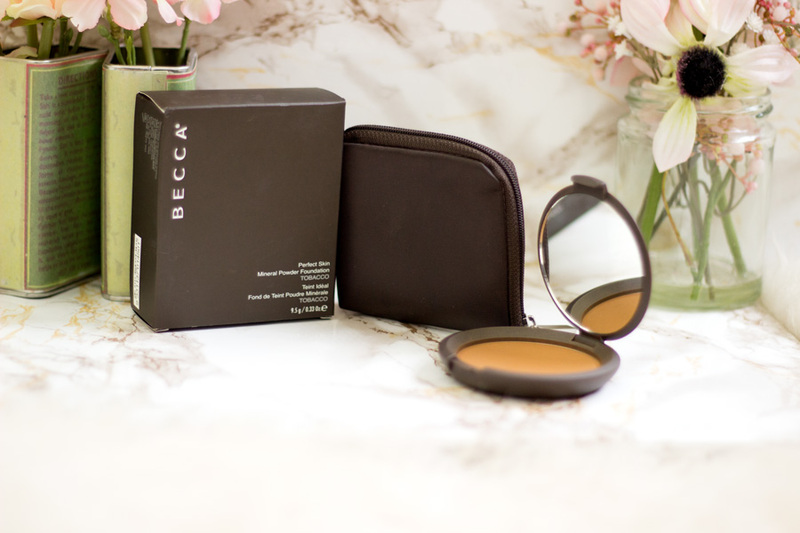 Becca is one of the brands I absolutely love and I have never been let down by any of the products I have purchased from them. They make high performing products with impressive quality. I picked up this Mineral Powder Foundation in the shade Tobacco which is a good match for me although I think it will be a perfect match during Summer. It is very finely milled and I love the packaging (complete with its own tiny purse). It can be used on its own as a foundation or as a powder. I currently use it as a powder to set everything in place and I use a very light hand because it is heavily pigmented. I also use it for foundations that come up slightly light on my skin as the powder balances everything to match my complexion perfectly. It's just a lovely product and I am glad I picked it up in the sales. I got some Colour Pop goodies from my Twinnie- Sal from UmmBabyBeauty. She is such a lovely friend and I adore her blog. 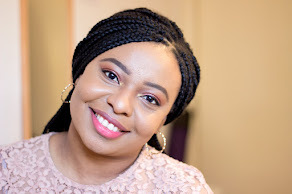 If for any reason you are not yet following her, check out her Blog, Bloglovin, Instagram and Twitter. 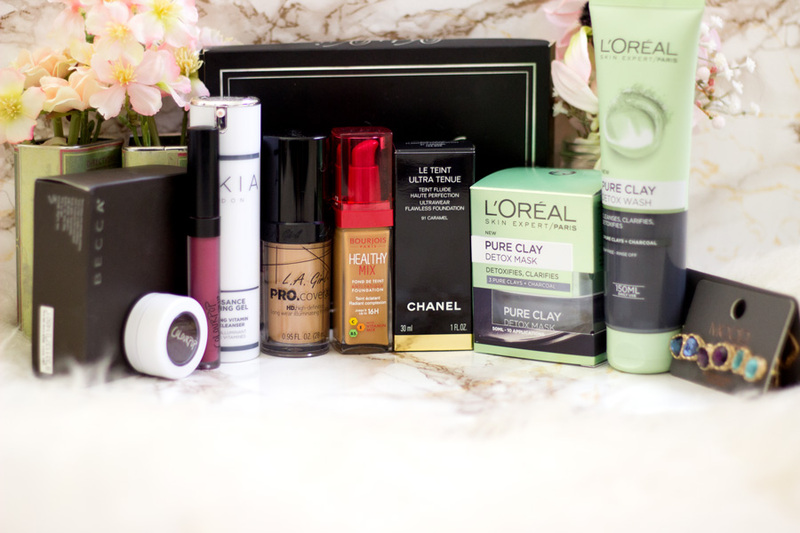 Her purchases always influence mine because we enjoy similar products so I know I can trust her recommendations. She sent me these lovely Colour Pop babies and I am so grateful for them. I have worn them a few times particularly the Ultra Satin Lip in Wink and I even love it more than the ones I purchased. The Eyeshadow in Central Perk is such a beautiful shade for creating dimension to my eyeshadow looks and I love it. I use a very light hand with it because it is super pigmented. The Ultra Satin Lip formula is way more comfortable than the Ultra Matte ones and I really enjoy it. This was supposed to be part of my US Beauty Haul but it did not arrive on time. Again, there is a whole long story about my experience purchasing this gorgeous palette but I will skip that or save it for my review. 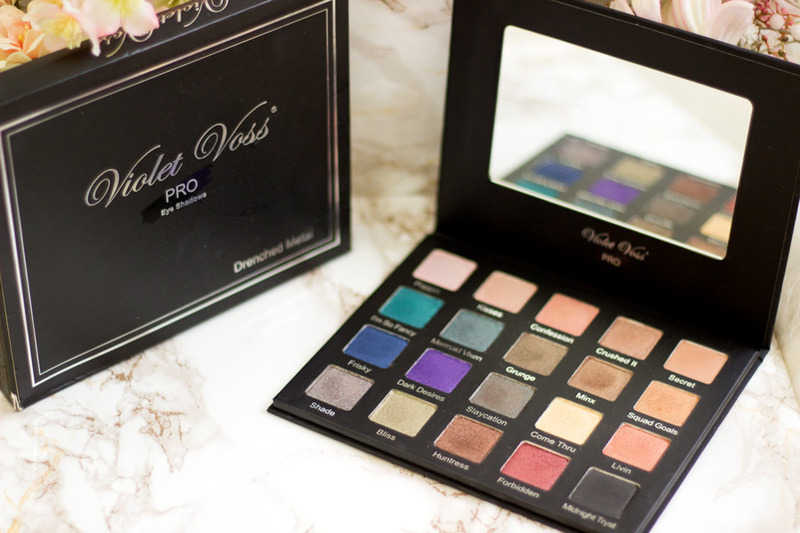 I have always had my eyes on Violet Voss Palettes and I remember seeing the Holy Grail Palette and telling myself I needed it. However, the Drenched Metal completely stole my heart. Just look at it!!! *inserts millions of heart eyed emojis*. I am not a fan of the packaging especially at its super expensive price (£45) but the eyeshadows have such incredible quality. I did get mine for just under £23 (including shipping) so it was a mahoosive bargain for me. The pigmentation, longevity and texture of the eyeshadows is really impressive and I can see why people go nuts for them. I have used almost all the shades so far and I have not been disappointed at all. It's a great palette and if you love experimenting with colours, I would recommend purchasing it. If you want something with more neutral shades, then the Holy Grail Palette is the one for you. I recently saw that the Drenched Metal Palette is now back in stock on Beauty Bay and Cult Beauty so pop on over if you want it as they are always sold out. 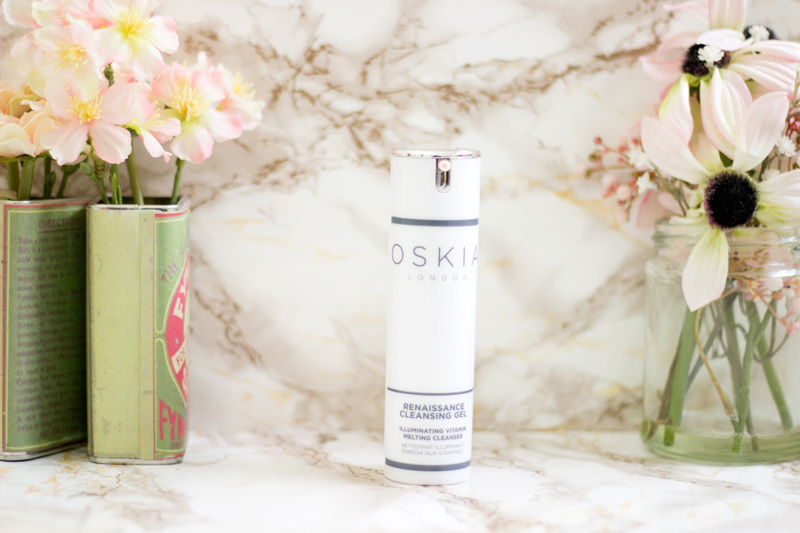 I really need to try the Oskia Cleansing Gel!